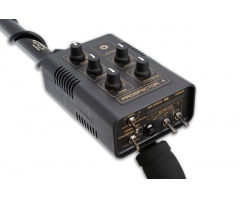 Posiadają wygodną wyściółkę na uszy, skręcany kabel oraz pracują w standardzie mini-jack i duży-jack. Jednym słowem mają wszystkie atrybuty dobrych słuchawek do poszukiwań przy użyciu wykrywacza metali. Capable of finding military and coins. Easy to use while providing unforgettable memories. It will please every enthusiast of history and collecting. 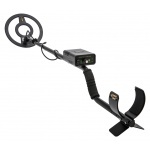 Armand Prospector 4 is a metal detector which combines effectivity and quality. Detector is always ready to work. Batteries allow him for many hours of searching. Low energy consuptions is econominal and ecological. 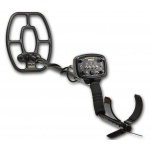 Built-in flashlight illuminates the area and makes work easier. Detector's weight is only 1,2kg. It's light and You can take it everywhere. Whole search can be done using single device. 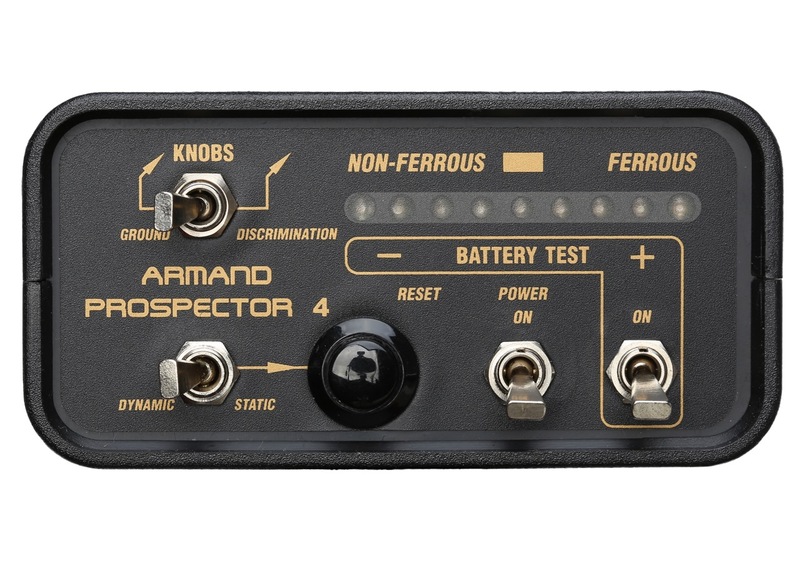 Armand Prospector 4 reacts to all kinds of metals, both ferrous and non-ferrous. Coil is fully waterproof. No conditions can stop Your search. Assembly of the device takes only a moment. When disassembled You can easily put it in bag for transport. 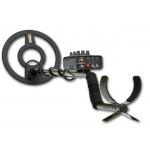 Detector has mini jack socket which is compatible with any mini jack headphones. 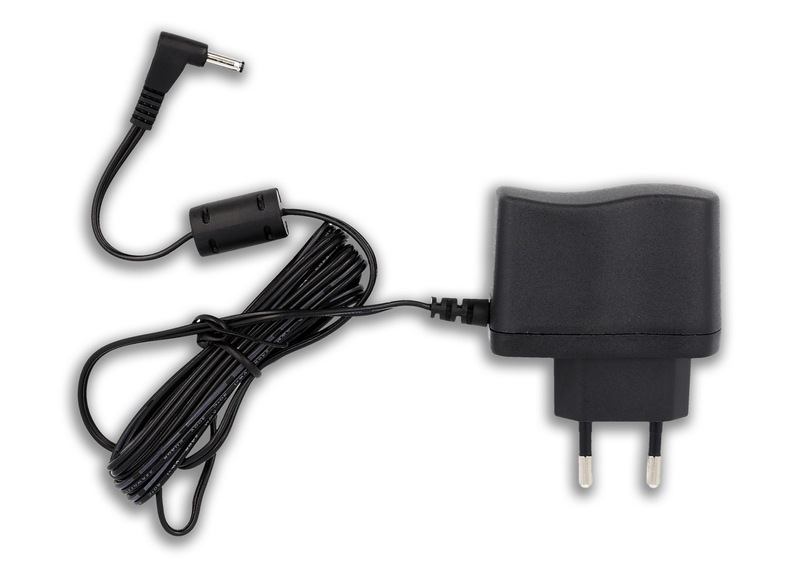 Switching to them reduces power consumption and provides better sensitivity. 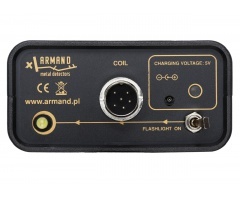 LED and acustic signal will inform You about low battery level. 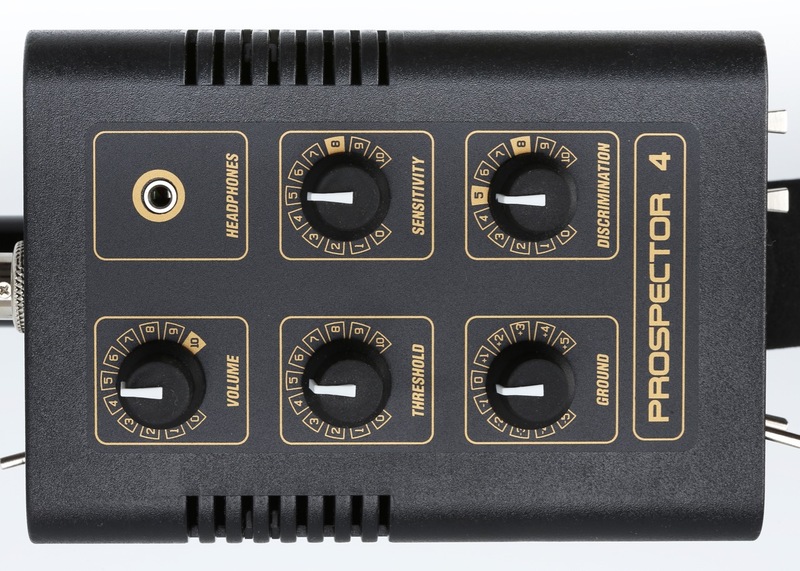 Prospector 4 has a RESET button. Pressing it sets ground level and balances output signal. 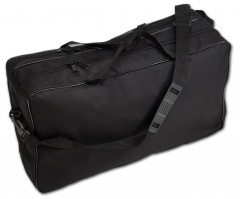 Carrier tube has adjustable armrest and button-like latches, which provides ergonomy and comfort. 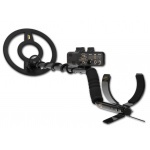 Traditional knobs and switches layout allows easy and intuitive handling. Device is equipped with switch activated battery test. 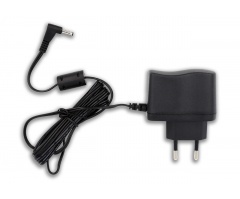 Built-in rechargable batteries allow longer work time and elliminate the need to open the device during the search. 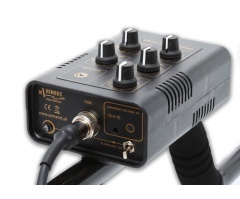 Detector's parameters are controlled using 5 knobs. Switches located at front panel allow change of working mode and battery level test. 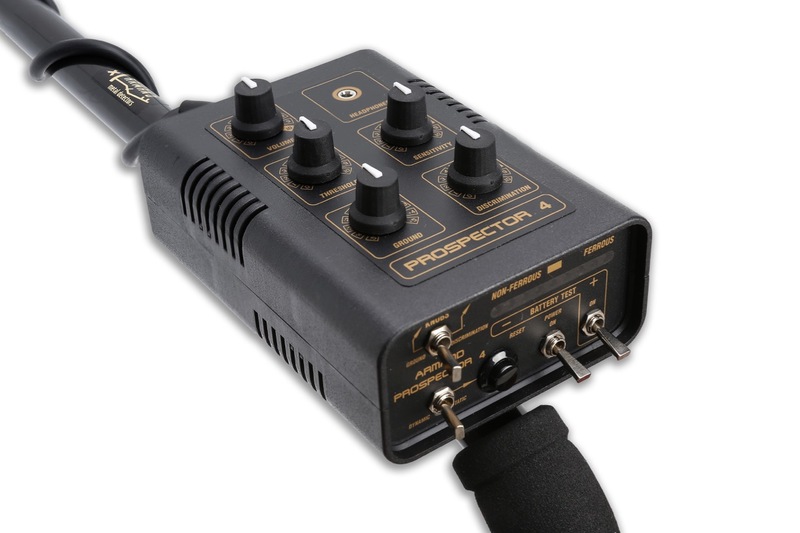 Ground/Discimination switch can be used in both static and dynamic mode. 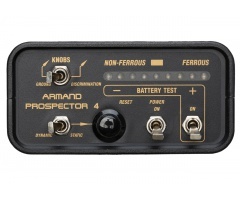 Armand Prospector 4 has both static and dynamic mode. In static mode detector reacts to metals when stationary and when moving the coil. 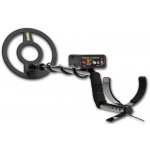 In dynamic mode there is autobalancing of ground level and detection is possible only when you move the coil. 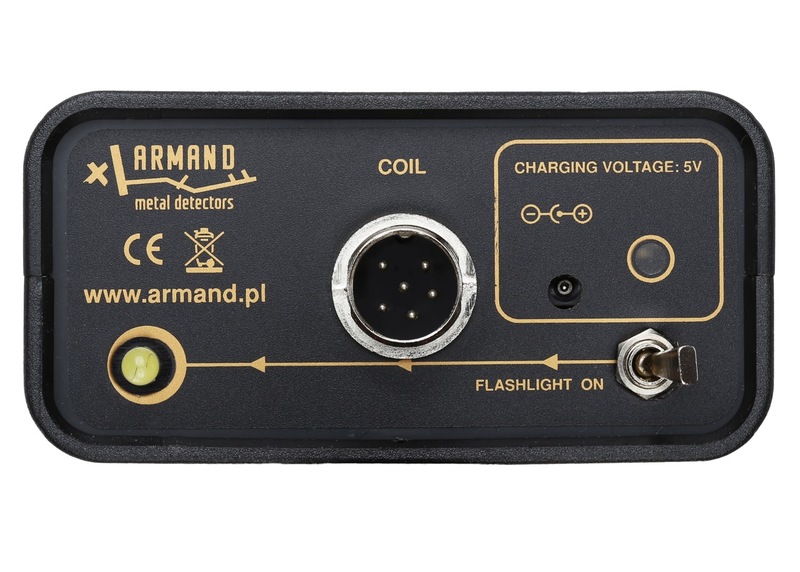 Detector has LED based detection indicator. Light point moves left when non-ferrous metal is detected and right when ferrous is detected. 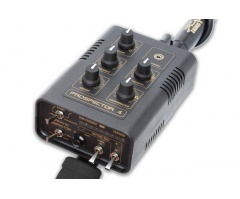 This indicatior is also used for showing battery level during battery test. 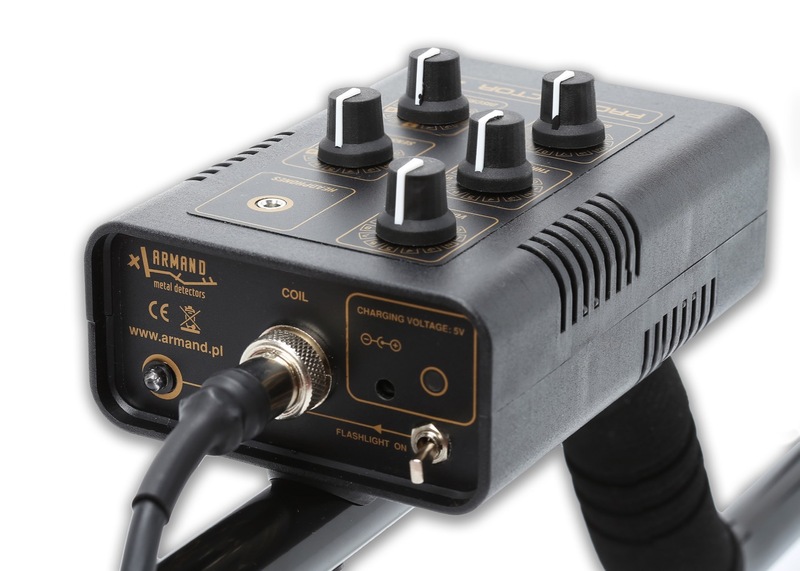 Metal detection is communicated using sound from the build-in speaker. When headphones are connected speaker is muted. 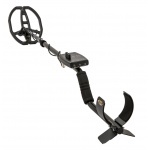 Universal metal detector Armand Prospector 4 has robust and ergonomical case. Aluminium tube is coated with stove enamelled what guarantee durability and aesthetics. 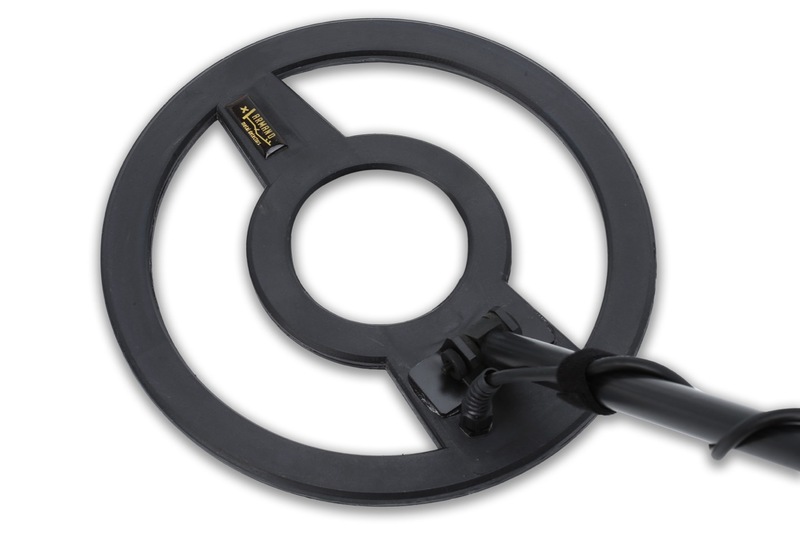 Detector uses modern carrier tube with adjustable armrests with black foam and button-like latches. 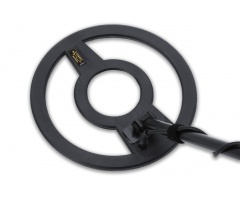 Part connected directly to coil is made of stiff plastic tube. 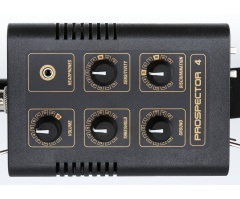 Armand Prospector 4 is successor to popular Prospector 3. It uses more ergonomical and comfortable knobs and switches. 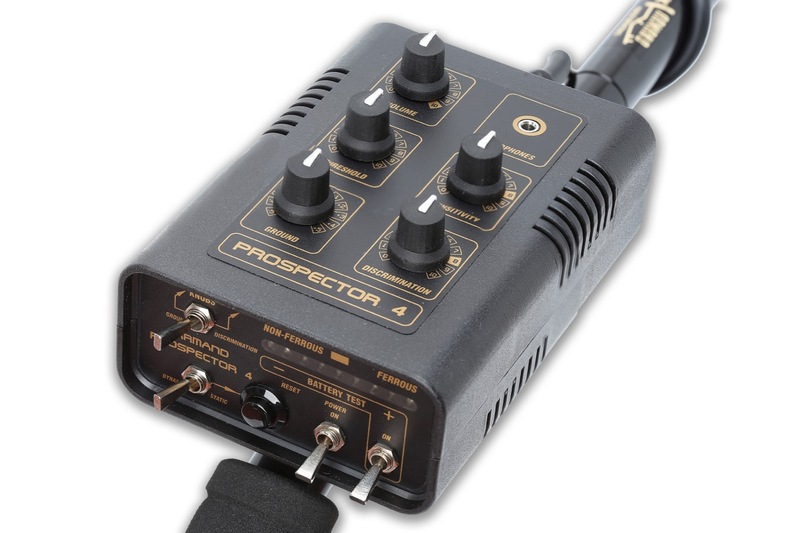 Armand Prospector series has been improved for over 20 years. 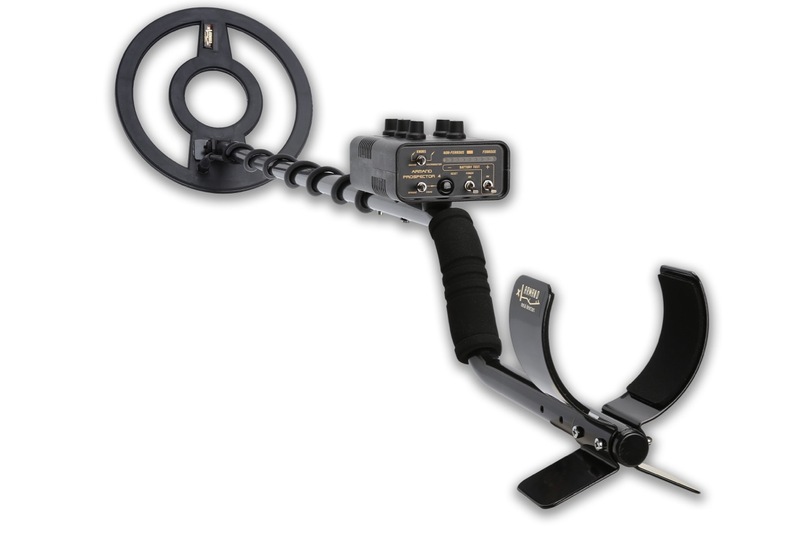 Detector is produced in Poland by Armand Metal Detectors company.